Al Hartmann | The Salt Lake Tribune Voting booths were full in early morning voting at precinct SLC 108 at Hawthorne Elementary School in Salt Lake City Tuesday November 4. There are innumerable examples of how the Utah Legislature goes out of its way to be non-responsive to the will, wishes and needs of the people of Utah. Groups of our neighbors have become so frustrated with the unwillingness and inability of elected lawmakers to do the people’s work that they have been moved to go through the long and expensive process of placing three specific proposals on this year’s general election ballot. In other words, when clause (a) fails, shift to clause (b). Each of the three initiatives deserves to be approved on its own individual merits. But the theme running through them is, as Thomas Jefferson might have said, that there comes a time in the course of human events when the people need to assume the legislative power granted them by the state Constitution and to make laws that shall seem most likely to effect their safety and happiness. Or at least ease their pain, give them access to the health care system and make it at least a little more difficult for future Legislatures to ignore the popular will. 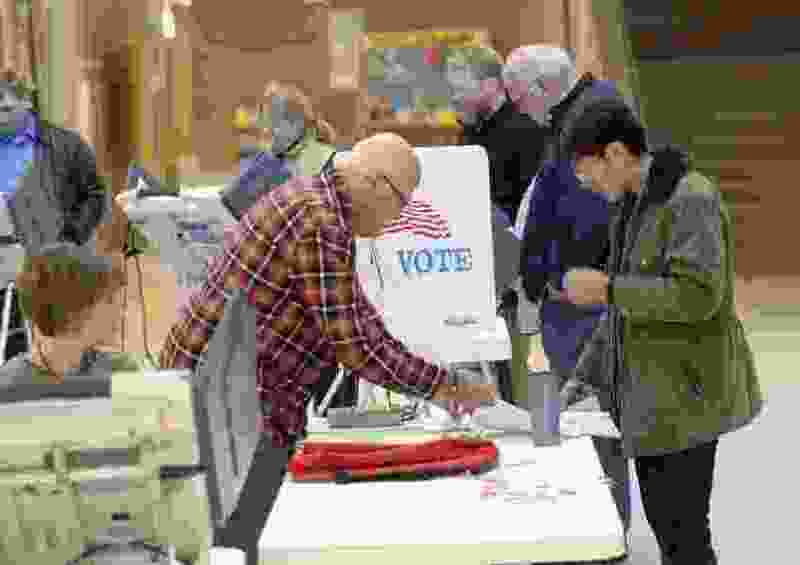 Voters should reject any suggestion that, should they vote down any or all of the initiatives, the Legislature, governor, any political party or anyone else will soon come back with a different piece of legislation that would do the same thing, something better or even something similar. The powers that be in Utah have had the opportunity and the power — but not the will — to have faced each and all of these issues for many years. They have refused to do so. And there is not a single reason to believe that, absent the approval of Prop 2, Prop 3 and Prop 4, they will even take up these matters, much less solve them to the satisfaction of the people. This initiative would put into state law a system that would allow people suffering from certain diseases and medical problems to obtain first a doctor’s recommendation and then certain substances derived from the cannabis plant from privately run dispensaries. The promise of medical marijuana to provide relief from serious and chronic conditions that include epilepsy, cancer, MS, ALS, Alzheimer’s and other maladies is not in question. Which is why some form of legal marijuana, either limited to medicinal uses for recreational use by adults, is now the norm in 30 states. Colorado and Nevada have gone fully to allowing marijuana for recreational use, while Arizona and New Mexico have allowed medical marijuana. While there have been problems in those states, and will doubtless be problems here, the now-irreversible nationwide trend is for the legalization of cannabis in one form or other. And there is no reason why Utahns suffering from many different woes should have to wait any longer than anyone else for relief. A closed-room deal cooked up recently by the governor and leading lawmakers — in talks with some of the leading bakers of Prop 2 — may well prove to be as good or better in both making medical cannabis available while other uses less likely. But voters should back Prop 2 anyway, lest our leaders find more reasons to drag their feet. The people of Utah have already left more than a billion dollars in federal support on the table over the last five years due to our stubborn, partisan and hurtful refusal to go along with the provisions of the original Affordable Care Act and expand eligibility for Medicaid to thousands of our uninsured relatives and neighbors. If Prop 3 passes, Utah voters will have commanded their reticent state government to accept the expansion, take the money, and provide coverage to some 150,000 working and low-income Utahns who now, through no fault of their own, lack the kind of access to health care that the residents of 33 other states — and every nation considered civilized — take for granted. For those who are worried about the cost, Prop 3 includes a tiny sales tax increase — 0.15 percent — to raise the $90 million a year it would take to finally leverage the $800 million in annual federal funding we’ve been foolishly walking away from. That influx of money would do more than save lives, and prevent bankruptcies, for thousands of us. It would also provide an economic multiplier effect as it pays hospitals, doctors, nurses, orderlies, lab techs, clerks — and all the people they do business with — for an economic as well as a humanitarian boon. After the 2020 federal census, Utah will draw new districts for its state Senate, state House and our four (or maybe more) members of the U.S House of Representatives. In past years, the process has been less a serious consideration of numbers and communities and fairness and mostly a partisan political, and sometimes just personal, act by which state legislators draw maps to advantage their party generally and some of their colleagues specifically. That’s not democracy. That’s gerrymandering. Prop 4, if passed, would set up an independent commission with a charge to draw districts in fair and logical ways, respecting city and county boundaries and communities of interest. That plan would then go to the Legislature to be voted up or down without amendments or other monkeyshines. All three of these ballot initiatives, individually and collectively, stand to improve both our quality of life and our democratic institutions. The voters should give them their resounding assent.